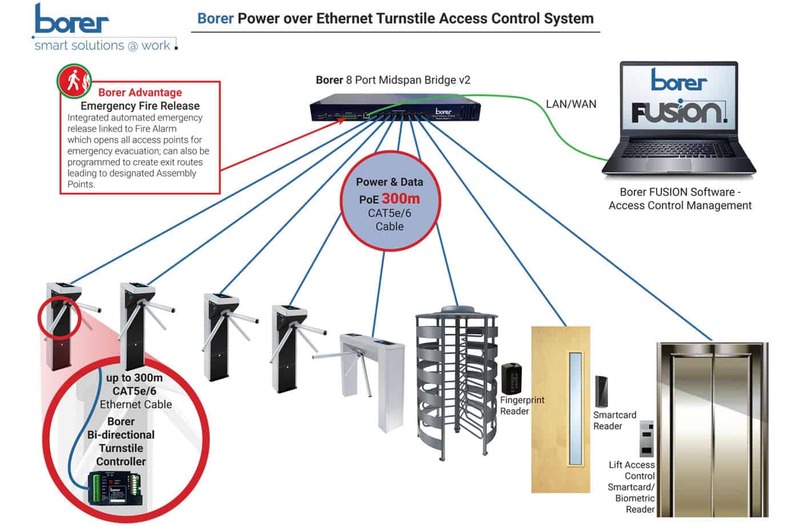 Borer’s PoE Access Control System supplies Power and Data over a standard Power over Ethernet CAT5e/6 cable at a distance of up to 300m between devices. Our system also has the advantage of an integrated automated emergency release linked to the Fire Alarm system which opens all access points for emergency evacuation. The system can also be programme to create emergency exit routes leading to designated assembly points at multiple sites, all controlled by a mobile device. 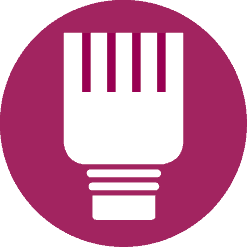 Borer employs ‘Clean Design’ principles to produce products that use less energy with a higher level of integration, reducing the amount and size of the equipment required. Borer PoE FUSION System is designed to work over the corporate LAN using TCP/IP (Internet Protocol). Each door is individually connected to the Midspan Bridge using the CAT5e/6 data cable. 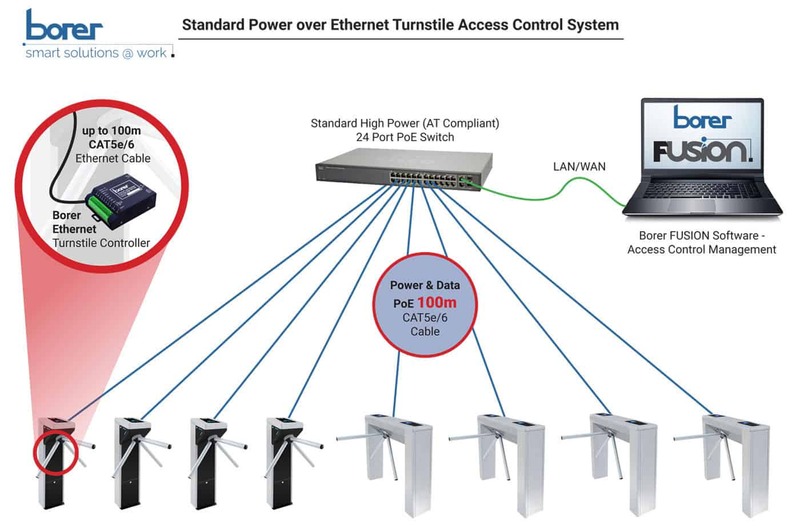 Power and data are delivered down the CAT5e/6 cable thereby eliminating the need to install a power supply at every door. 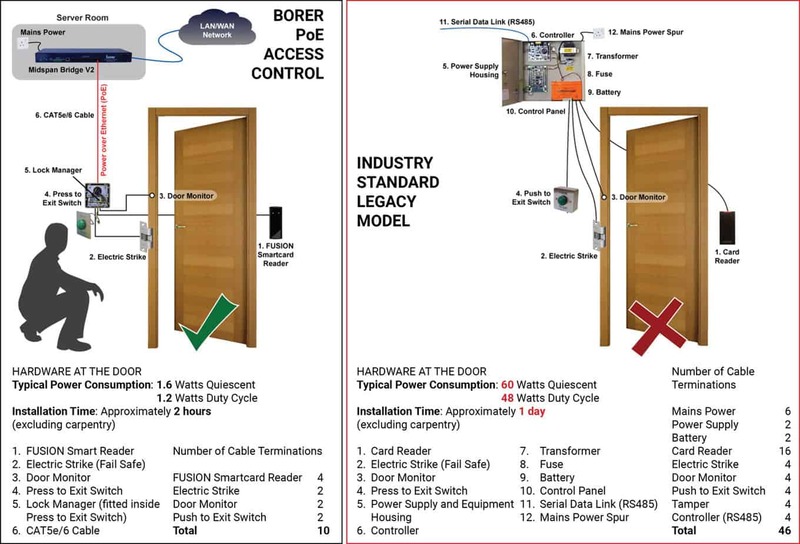 Below is a comparison between Borer’s Clean Design using Power over Ethernet and the Traditional Architecture Model.